It would be safe to say that U2 has become the most successful band to travel the globe and still keep their unique sound that everyone loves. U2 concerts across the world are usually sold out within a matter of hours and the lads from Dublin wanting to please all their fans have no worries of playing an extra gig wherever they are playing. U2’s success has not only been an artistic success with sweeping up on music awards across the globe but also have been a huge business success in the music industry with the U2 Elevation Tour being the top-grossing North American tour of 2001. The U2 Elevation tour made a staggering $110 million in ticket sales for 80 sold-out shows. At Mount Temple Comprehensive School, in Dublin Ireland, on 1976 Larry Mullen who was 14 years old at the time posted a note on the school bulleting board seeking musicians to form a new band. Out of the young hopefuls came Adam Clayton, Paul Hewson (Bono), Dave Evans (The Edge), Dave’s brother Dik Evans, Ivan McCormick and Peter Martin. At first for probably one day the band was known as “The Larry Mullen Band” but all came to agreement on the name “Feedback” and within a number of weeks Ivan McCormick and Peter Martin were sacked from the band. Paul Hewson was to be nicknamed Bono Vox and The Edge received his name from Bono, there are a few assumptions on how the name was given. Feedback had changed their name to “The Hype” and worked hard day and night practicing whenever possible but still attended school in the meantime. It wasn’t until March 1978 they had entered a talented show in Limerick which was being judged by Jackie Hayden of CBS Records. They won the talent show and the prize of 500 punts (Old Irish Currency) and on top of that Jackie Hayden was impressed by their sound and performance in which he gave them studio time to record a demo. It is known that Steve Rapid that played for The Radiators From Space disliked the name “The Hype” and they need to come up with something better, then someone suggested U2 – its stuck ever since. 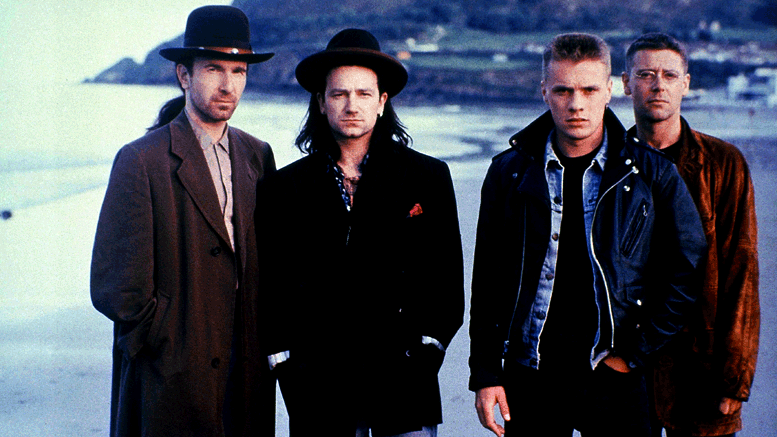 There has been disputes on what meaning of the name U2 had some thought it had the meaning “you too” as in the listener while other thought it was an application form common for those on unemployment benefits in Dublin at that time. March 1978 saw Dik Evans depart from the band, literally half way through his farewell show, to join another group in Dublin. A month later Paul Mc Guinness became the manager of U2 and a year later they released their first single U2-3 which topped the Irish Charts. This was the start of a long Journey for U2 but wouldn’t be an easy one. However, with many top hits such as Sunday bloody Sunday, Beautiful Day, and With or Without You among many others they would become one of the worlds most famous music groups. Tours such as the U2 vertigo tour see U2 play in many countries with most, if not all, gigs selling out so if you’re planning in seeing U2 on tour it’s extremely important that you purchase your U2 ticket as soon as they are released.